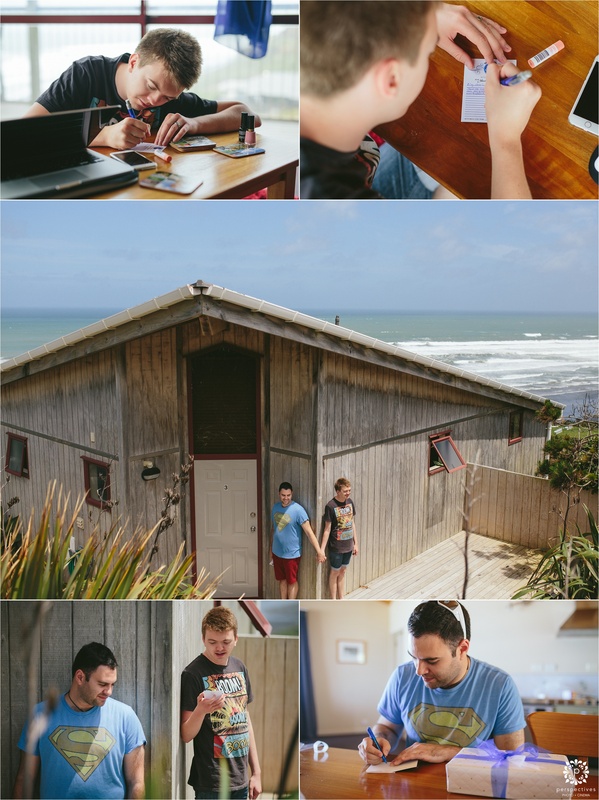 Corey and Joel played the most intricate game of tag in the morning … getting ready in neighbouring chalets at Castaways – but they somehow managed to avoid seeing one another, even though they frequently came to visit the same rooms & hang out with each other’s families. 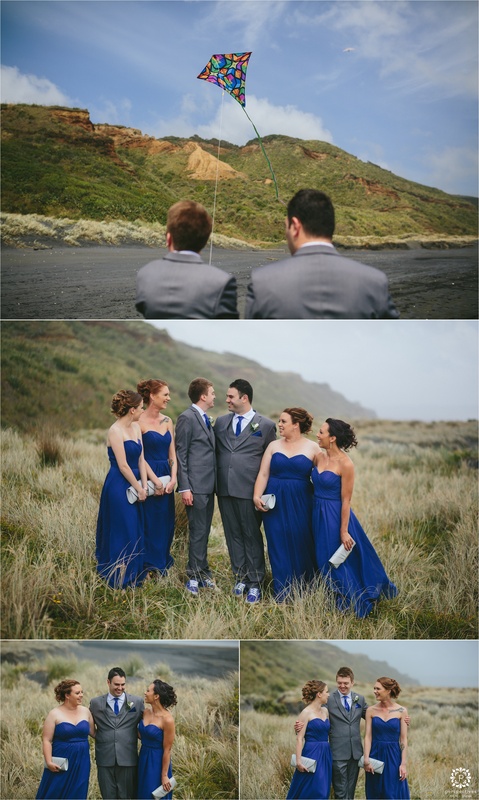 This was achieved through a series of phonecalls, sending messengers, and general stealth measures. 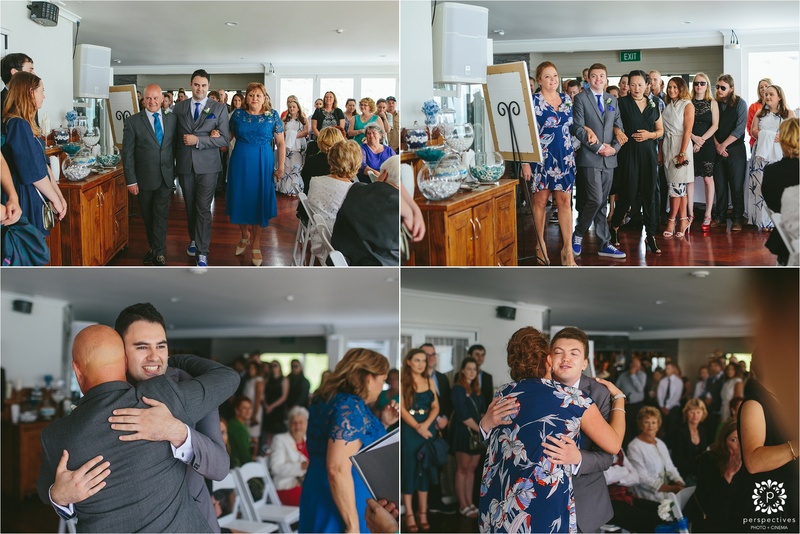 Joel wrote a letter for Corey and then came to read it to him – the closest they came to seeing one another was holding hands around the corner of the building.. so much suspense! 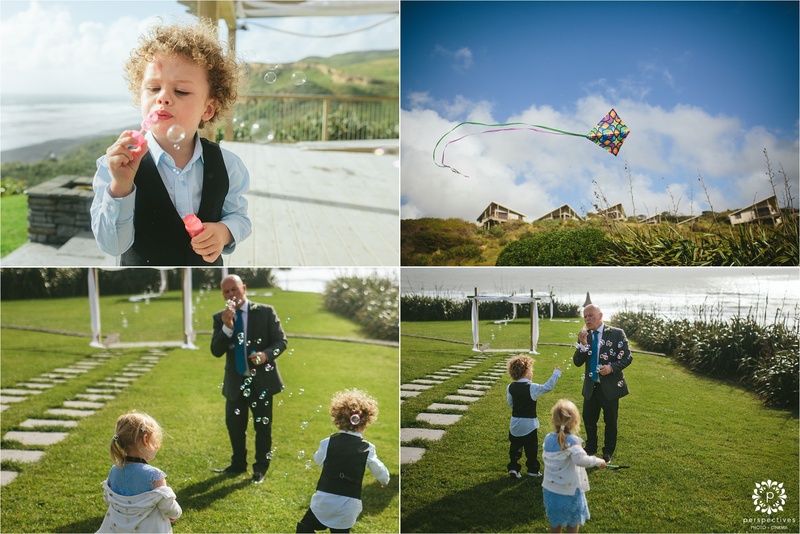 Finally the moment came down on the beach, where they got to see one another, and followed up with flying a kite (which they had prepared for their guests. 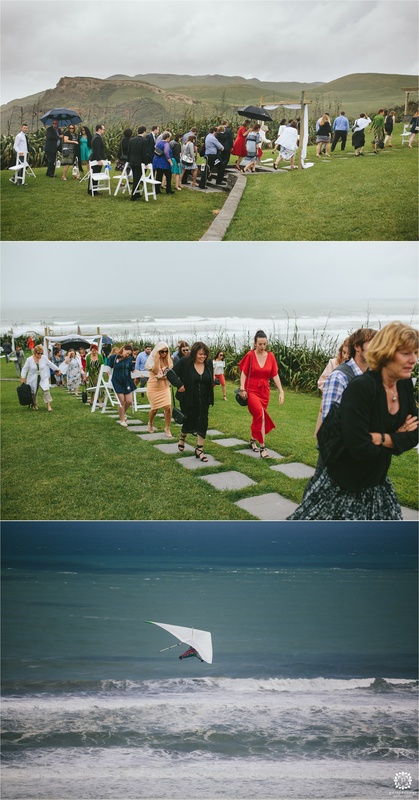 The stormy clouds made for some dramatic photos – but as the ceremony time drew closer, so did the rain. 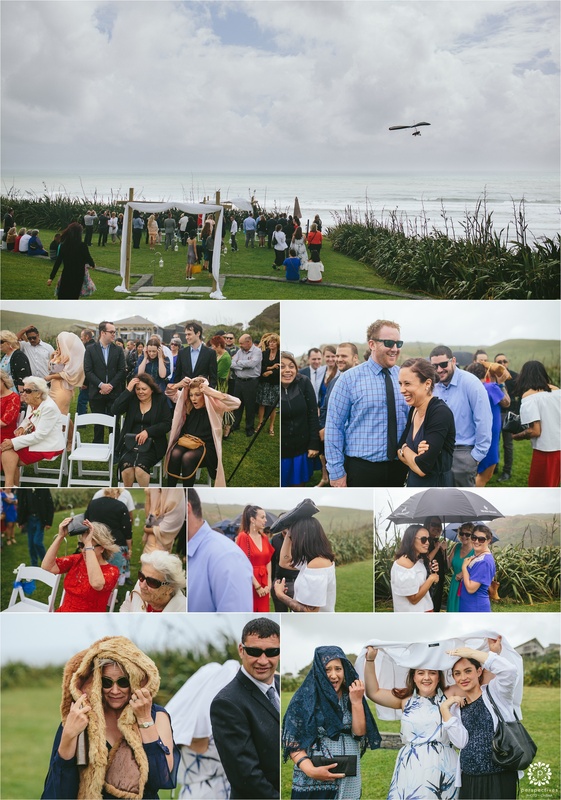 Just as things were about to kick off, the heavens opened – and everyone made a dash for shelter.. leaving the ceremony to take place in the safety of the building. 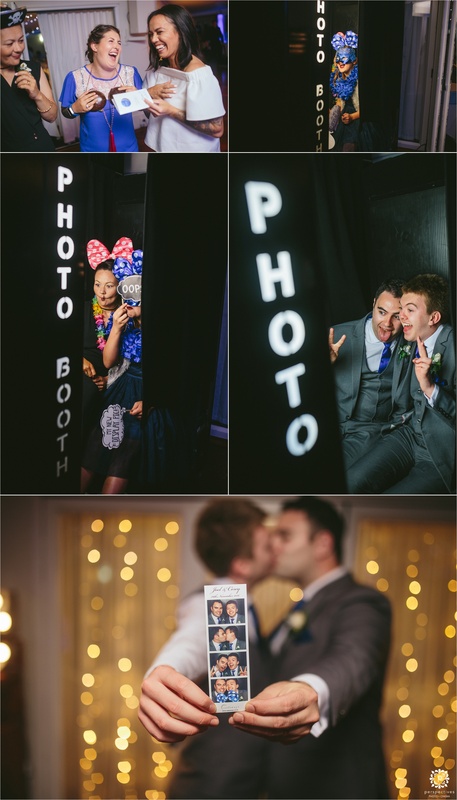 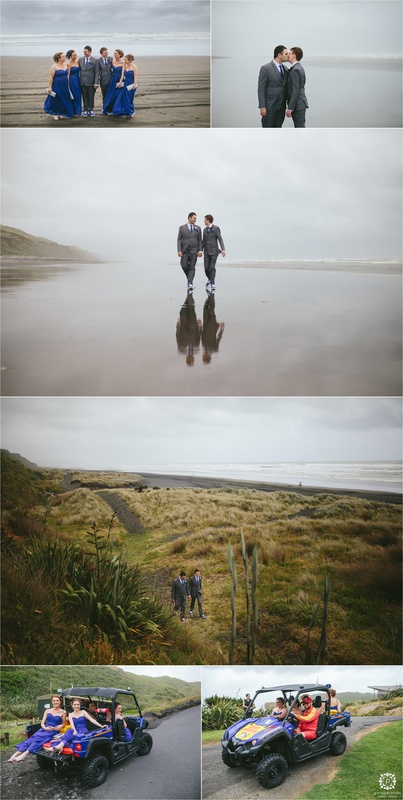 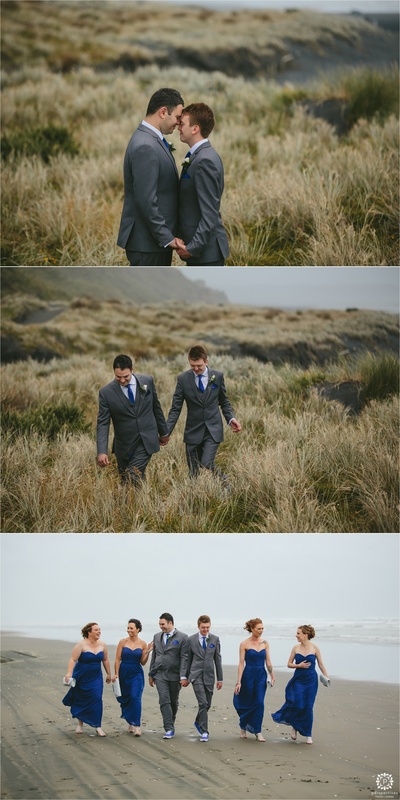 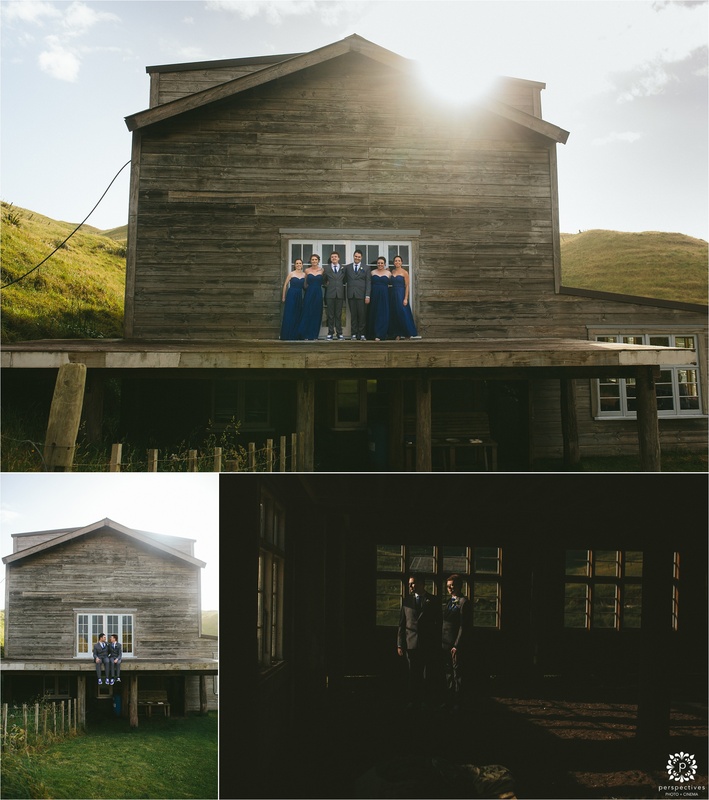 Halfway through the reception though, the sun broke through the clouds and treated us the the most amazing golden light & sunset – so Corey & Joel took the time to sneak out for a few more photos, before partying the night away!! 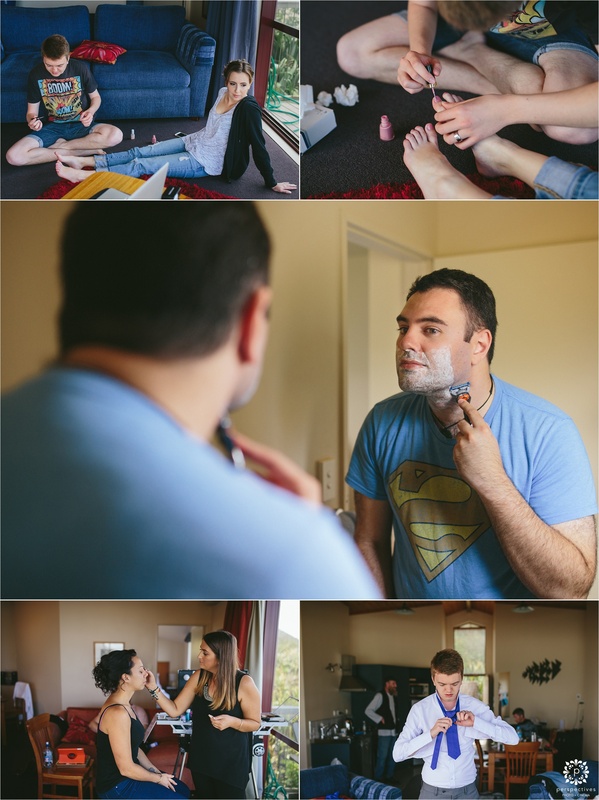 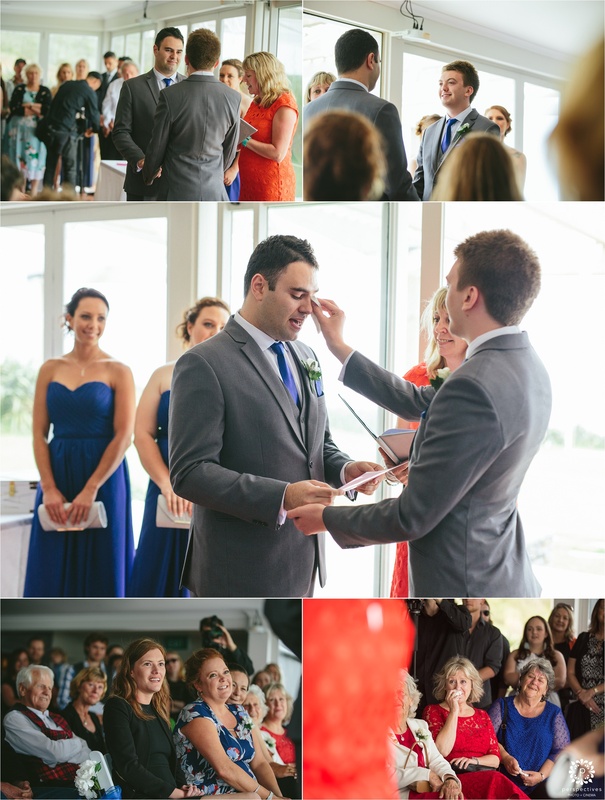 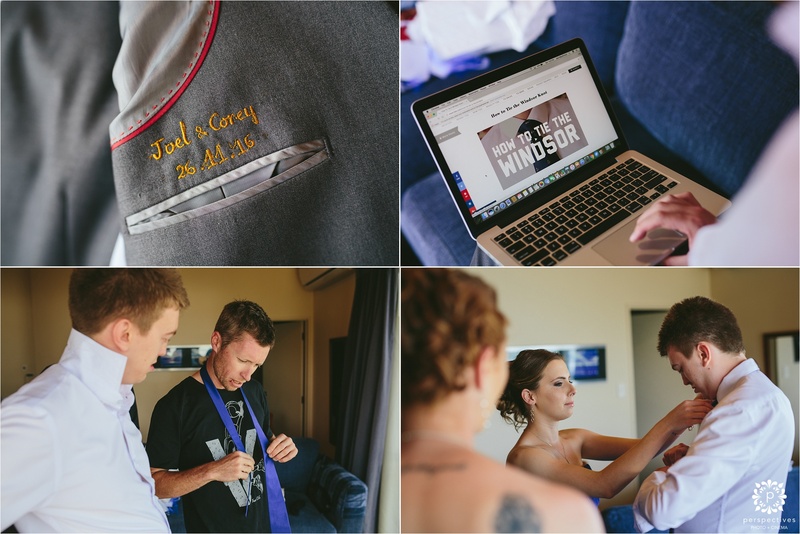 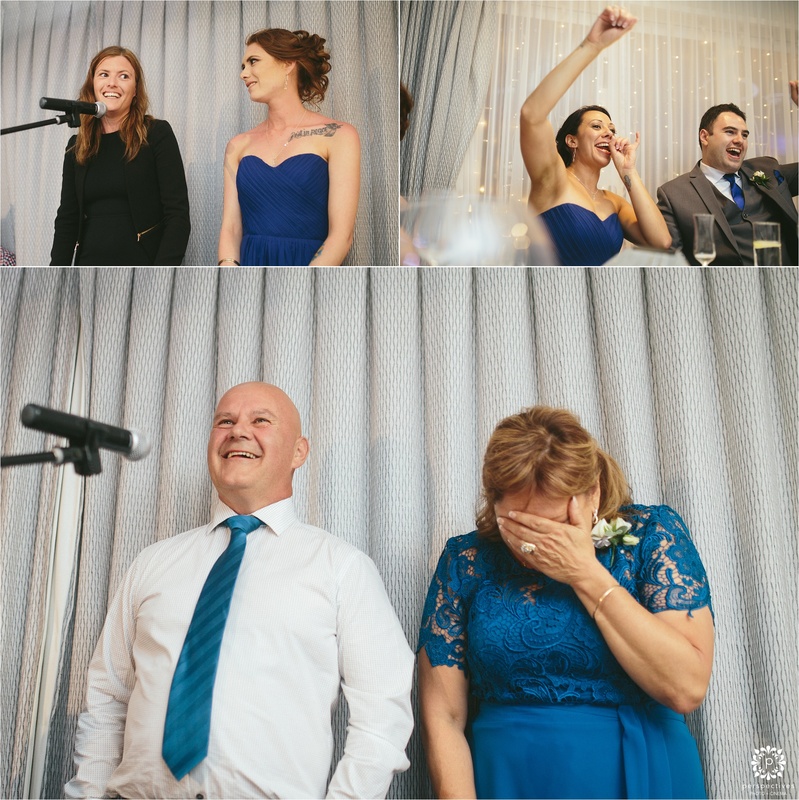 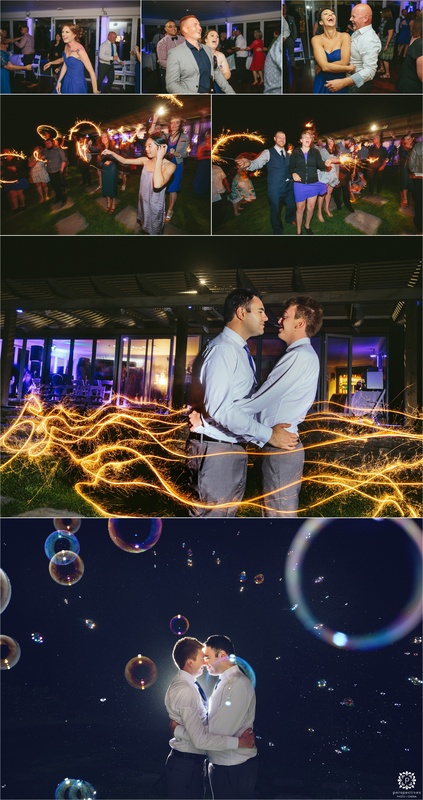 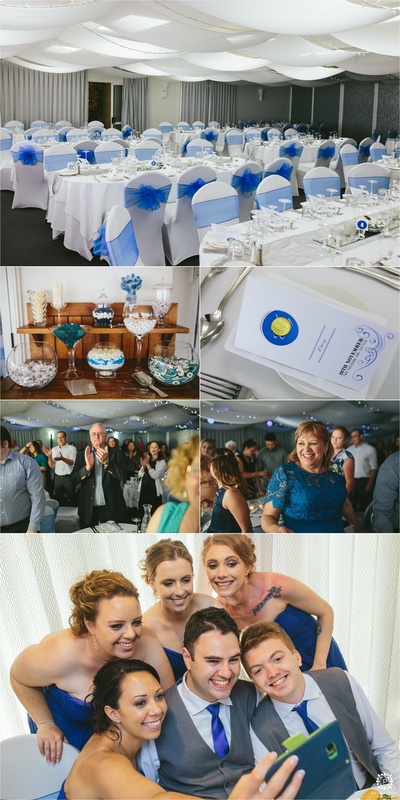 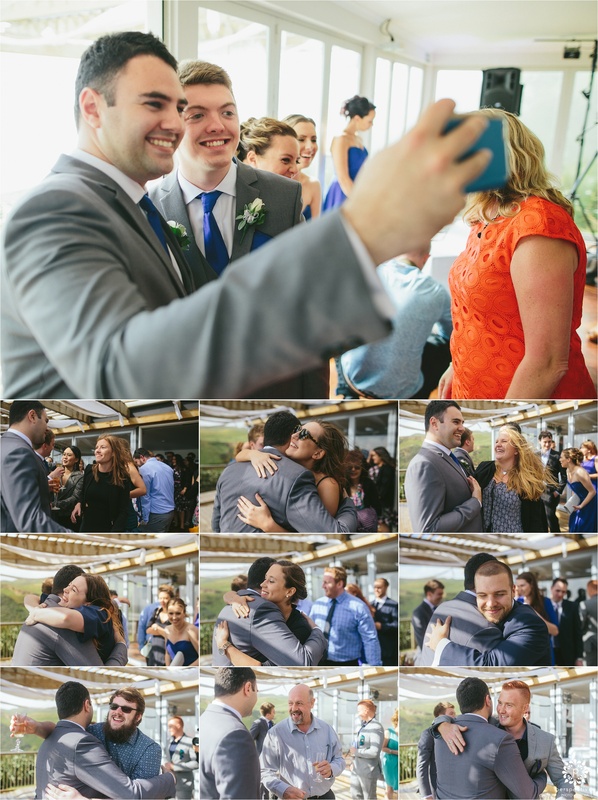 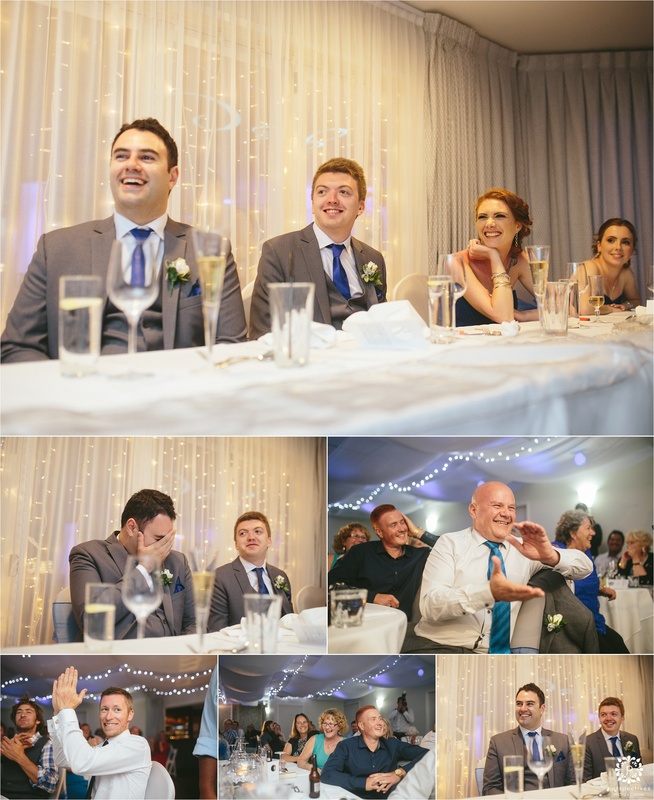 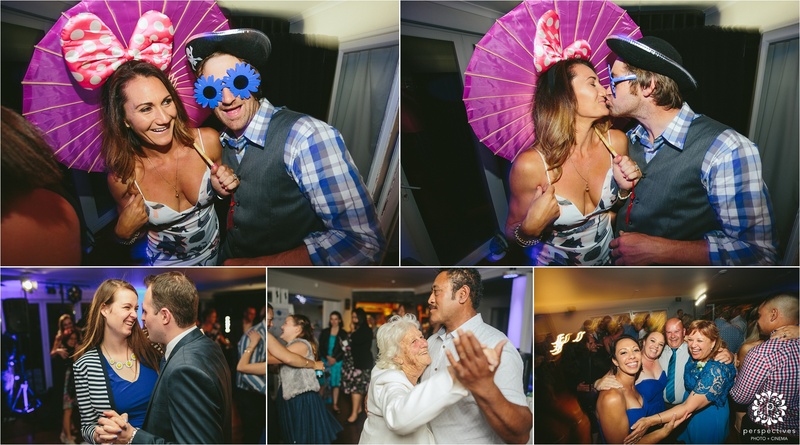 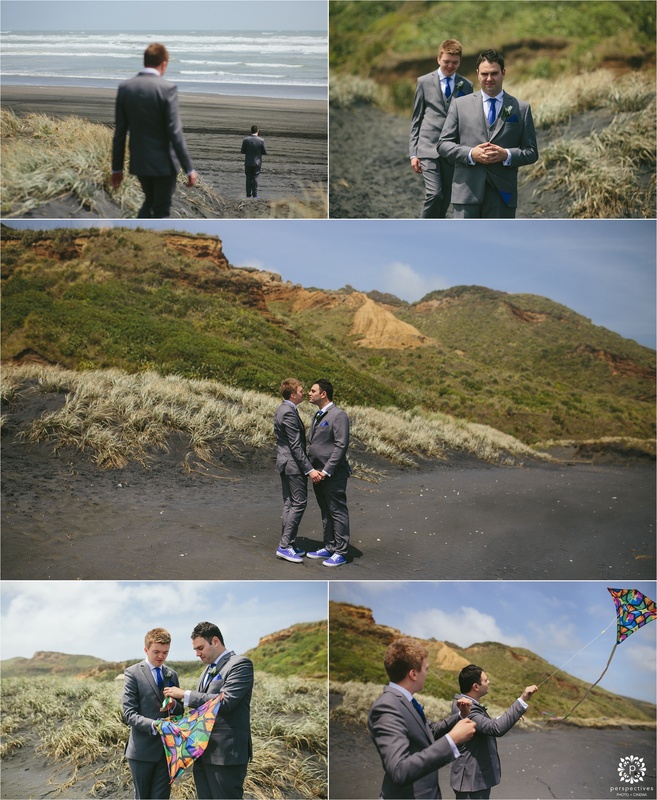 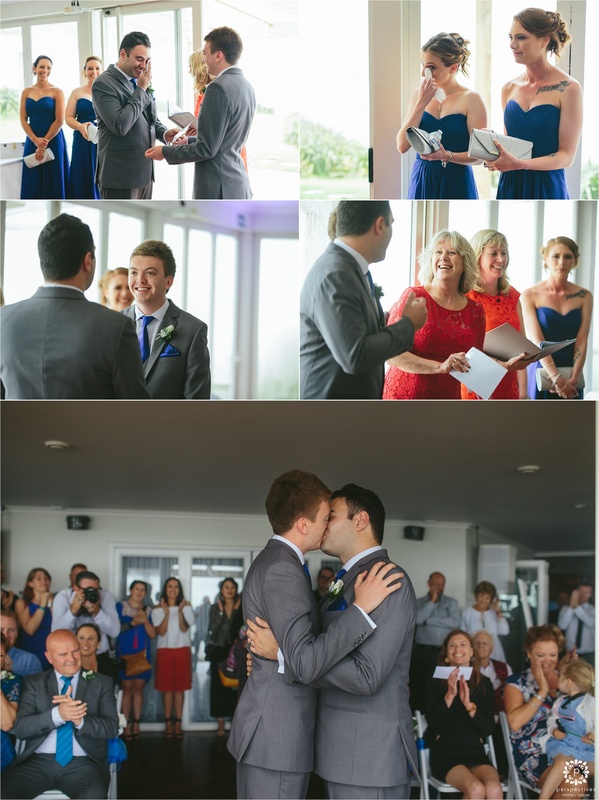 If you’ve enjoyed Corey & Joel’s Castaways wedding photos – be sure to leave them a comment in the box below. 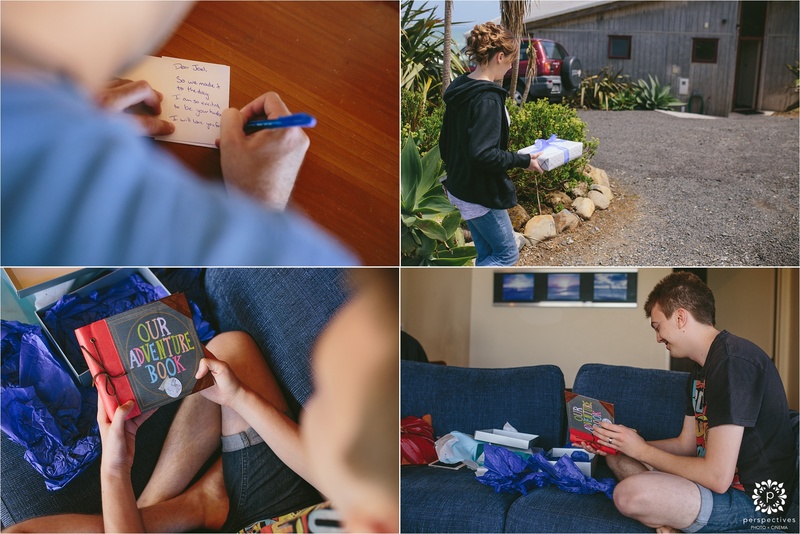 We know they’ll be stoked to hear from you!